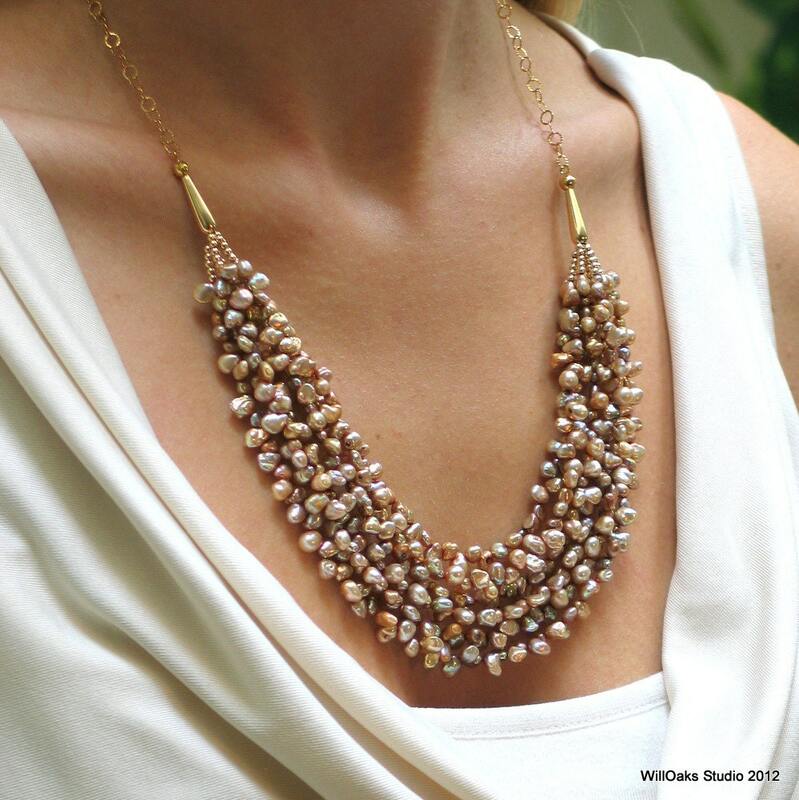 These keishi pearls inspired me with their beauty, and so this pearl bib is designed with a simple but unique textured chain and smooth teardrop shaped earrings, all gold filled. The wearing length can be adjusted for several different looks. 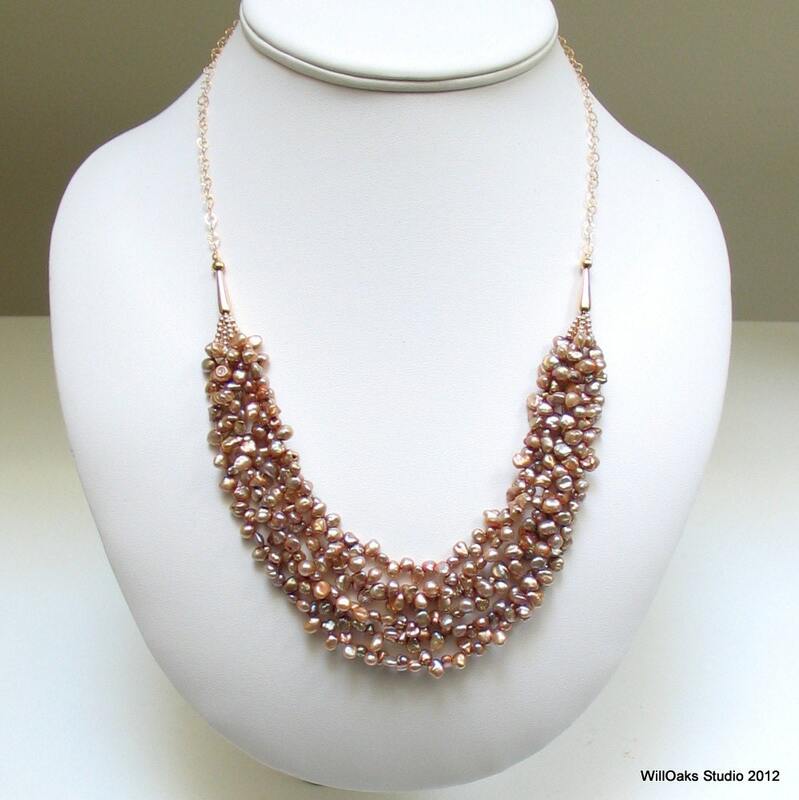 The necklace length adjusts from 21 1/2" to 23 1/2" with a drop in the front of about 1 1/4 ". 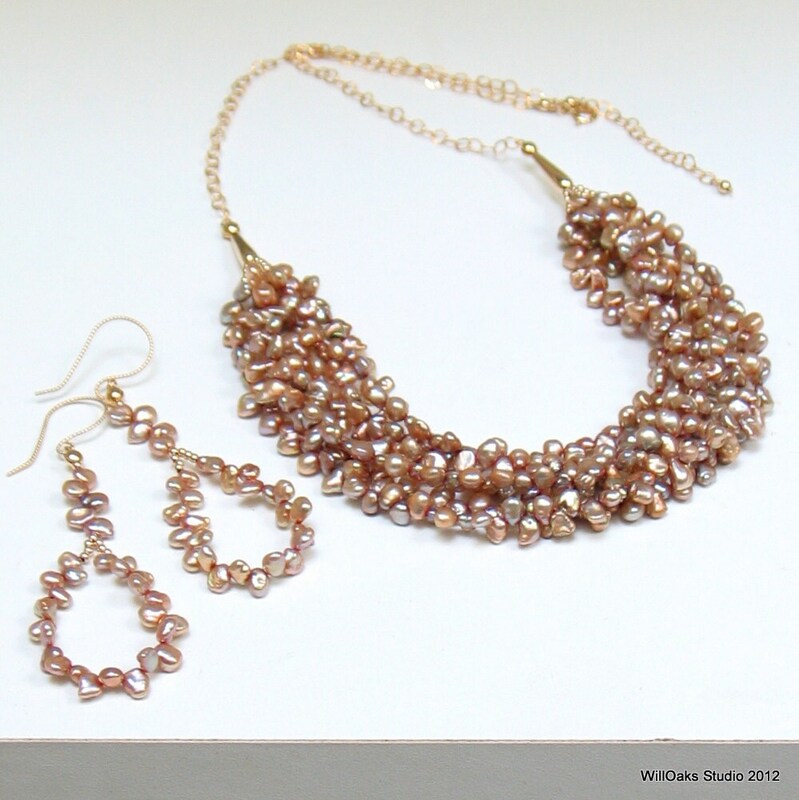 Individual pearls are top drilled and measure about 5 mm x 4 mm. The earrings are 3 3/8" long measured from the top of the ear wire to the bottom of the loop. Since the hoops are created with steel beading cable instead of stiff wire, they are soft, flexible and lightweight--effortless to wear for their bold and elegant impact. Lovely on the dance floor, with a business outfit, even to glam up a pair of jeans--this set is meant to be worn, enjoyed and to make the wearer feel beautifully elegant. Perfect for a wedding, for a prom, for formal wear as the bib can adjust to many different necklines. Shipping is free in the U.S. and each piece is boxed in a signature WillOaks Studio box, ready to gift or to keep. The edition size is 6.